From the martinis, to the live music, check out happy hour at Crush in Hartford. THINKING WARM THOUGHTS: Groundhog day is behind us. Soon the Super Bowl and Valentine's Day will have come and gone. And that means it's time to start thinking of spring! Yeah, we know there's more than a month until the seasons change, but we here at WYDT believe in looking forward (as far forward as it takes). In that spirit, head to New Britain to sample the Spring Menu at the Cafe on the Park. After meandering through the New Britain Museum of American Art, you can grab a bite to eat overlooking historic Walnut Hill Park. The cafe's Spring menu is inspired by "The Eight," which is a special exhibit on view right now. The dishes include Gloucester Tuna Salad Pita inspired by John Sloan's Main Street, Gloucester and Artichoke and Couscous Salad inspired by Maurice Prendergast's Picnic by the Sea and much more. CRUSHED: Crush Lounge in Downtown Hartford is your destination for live Jazz tonight. But it's not just the sweet sounds of smooth jazz that should tease your senses. You can also take part in the Crush Happy hour, featuring drink and dining specials. 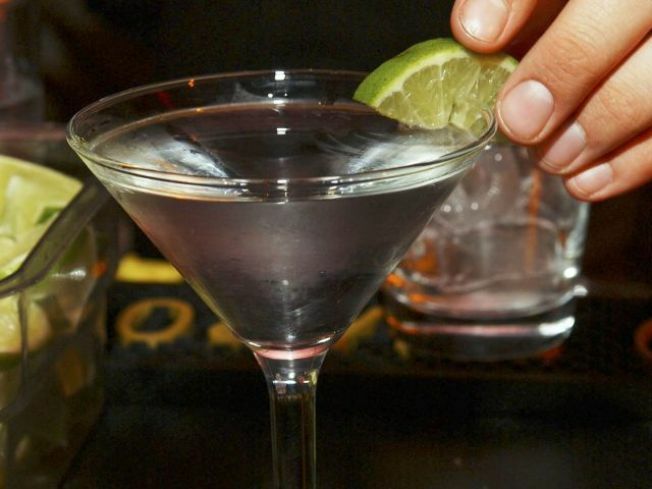 You can enjoy signature martinis made with Stolichnaya Vodka, or a selection of house wines or draft beers. And to fill your belly, there are delicious appetizers including a deconstructed tuna avocado roll (does that mean it's unrolled? ), fried calamari and panko-crusted fried artichokes. GIRL POWER: Singer/songwriter Brandi Carlile is taking over the Ridgefield Playhouse tonight. Carlile is on tour promoting her third album, "Give Up The Ghost." Since she debuted with her self-titled album in 2005, the Washington State native has continued to grow as an artist and her fan-base has grown along with her. Several of Carlile's songs have even appeared in commercials and on TV shows including "Grey's Anatomy." On "Give Up The Ghost," Carlile collaborated with the likes of Elton John and Tom Petty and the Heartbreakers. Tickets are $37.50 and $45. Event is at 8 p.m.